This is a recipe I’m so glad I tried. 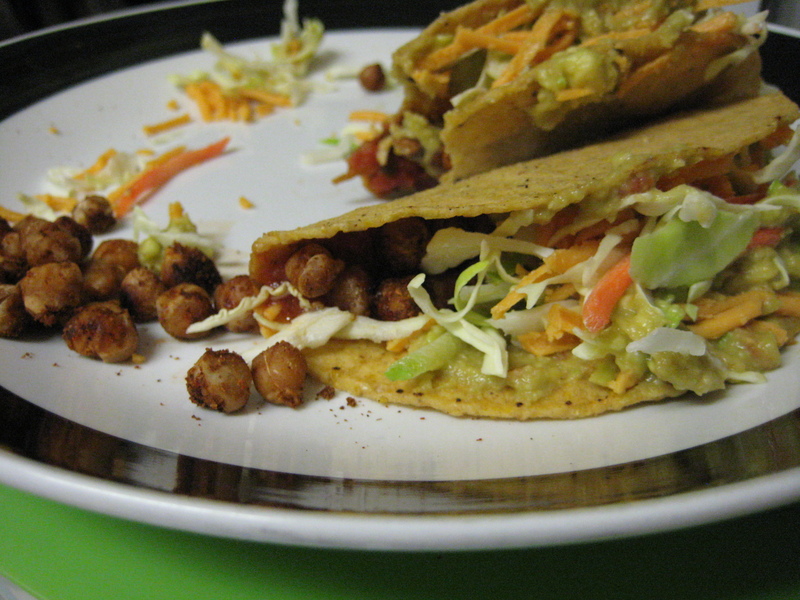 I will make these Roasted Chickpea Tacos again and again! The flavor is so good. • Taco trimmings: shredded cabbage, tomato, guacamole, non-dairy (i.e. Daiya) cheese, etc. • Preheat oven to 375 degrees. In a large bowl, combine chili powder, garlic powder, onion powder, oregano, cumin, salt, lime juice and water. 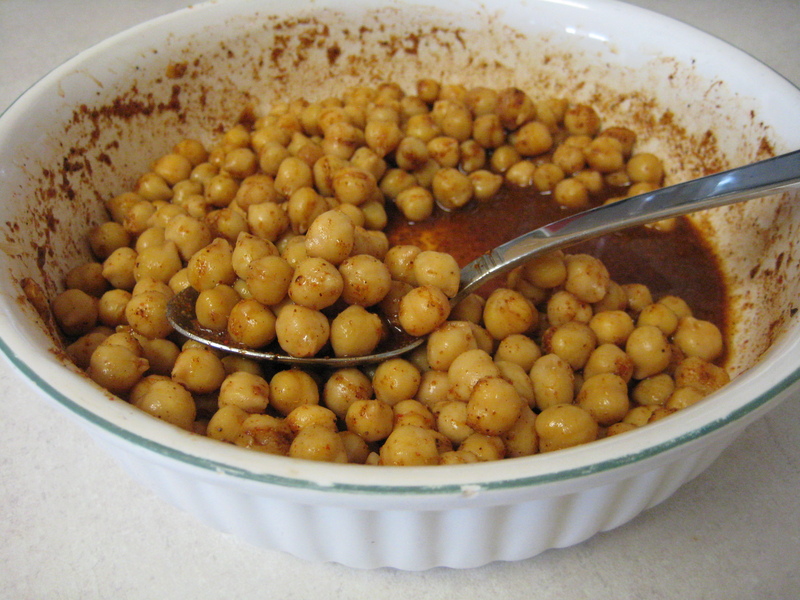 • Add chickpeas and marinate for at least 30 minutes. 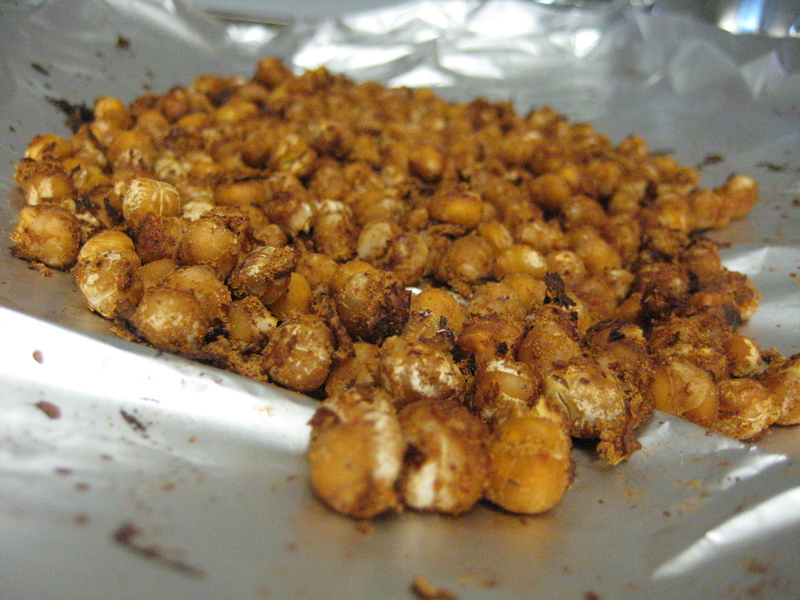 • Place chickpeas on a baking sheet that has been sprayed with cooking spray. • Bake for 20-30 minutes, stirring once during cooking, until chickpeas are slightly crispy. • Prepare taco shells according to package directions. Fill with chickpeas and desired toppings. (I used a bag of choleslaw for the shredded cabbage, salsa, cheddar Daiya, and made a quick guacamole: avacado mashed with salsa, garlic and onion powder, and good squeeze of lime juice). My mouth is watering just making this post. Enjoy!